Editors: Borman, Kathryn M., Cahill, Spencer E. and Cotner, Bridget A. 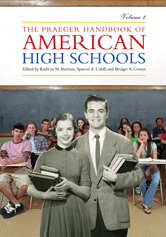 Contains entries on various topics relating to American high schools. Includes introductions, bibliography related reports, legislation and court cases.